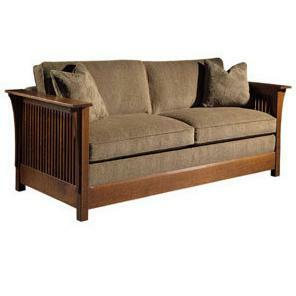 Accommodate house guests with this Stickley Mission classic sofa bed. The sofa features loose back customizable cushions, and sofa construction includes corbels, side slats and stylized track arms that extend in width beyond their vertical supports. The wood finish is also customizable; select from seven Oak finishes to find the sofa that best suits your home interior. The Fayetteville Sleeper Sofa is available in Queen, Full and Twin sizes. Though transformed by modernity into an artifact of a bygone era, this Stickley bridal chest remains an exquisitely beautiful and practical storage piece perfect for accenting your home. Whether you wish to restore an old American tradition by gifting this chest to your bride on her wedding day or simply to adorn your home with a Stickley classic that has withstood the test of time, the Gustav Bridal Chest promises to be a memorable and valuable addition to your home. The creation of this two-drawer tall night stand begins with the careful selection of the finest quartersawn white Oak available. Quartersawing creates the unique wavy pattern known as the "ray flake," one of the many distinguishing construction features of Stickley home furniture. The night stand features a shallow backsplash and two small drawers for personal items, each adorned with dark copper hardware. Select from seven finishes. A future family heirloom, this memorable Roycroft Sideboard will welcome guests and gather family. Solid quartersawn white Oak combines the aesthetic sensibility of timeless design with the integrity of solid wood construction. 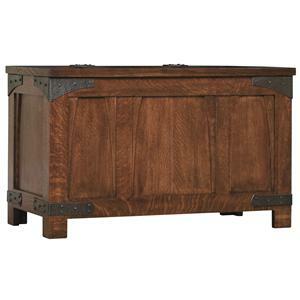 This sideboard features five drawers with dark copper hardware. The front pillars feature hand-carved inlay detailing that distinguishes the piece as a Stickley classic. Select from seven Oak finishes. 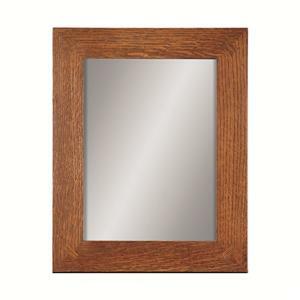 Plain mitered joinery with corner accent tenons border this vertical hanging flat glass mirror. The sparse design testifies to the original Stickley mission to create home furniture that is honest, practical and soundly crafted to last your family for years to come. 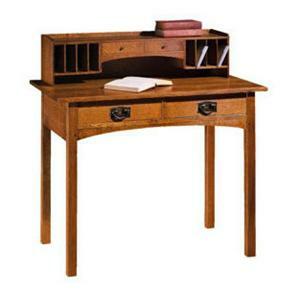 Feature this Stickley classic in any room of your home. Select from Onondaga and Fayetteville wood finishes. 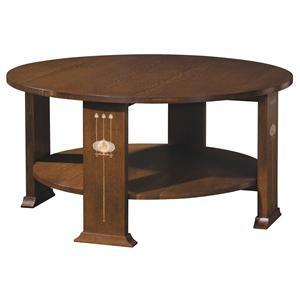 As is characteristic of Stickley pieces from the Harvey Ellis sub-category, this standard top cocktail table features unique inlay patterns consisting of English sycamore, maple, cherry, makore, magnolia and bird’s eye maple. Such decorative touches were rare in the Arts & Crafts realm and, along with Stickley’s unmatched construction features, set the Harvey Ellis pieces apart as a very special addition to any living area. A single base shelf provides storage or display area. Select from seven wood finishes. 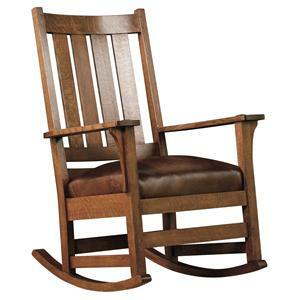 This Mission style slatted back Rocker chair was crafted with devotion to design, workmanship, and enduring value. Notice the elegance and beauty of the chair construction and the finishing techniques applied to the solid wood construction. A square seat upholstered in true leather completes the design. 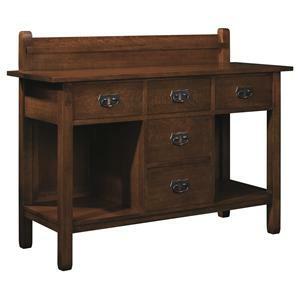 Solid Oak construction, hand sanded and hand-applied stains and clear dyes that augment the natural beauty of the wood, and dark copper hardware distinguish this writing desk as a Stickley original built to last your family for generations. 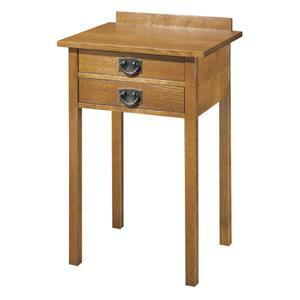 The desk features two front drawers for writing utensils, postage and stationary. The deck features pigeonhole divided compartments for organizing correspondences, as well as two small drawers for additional storage. As is characteristic of all Stickley furniture, this Bow Arm Morris Chair features solid construction, what-you-see-is-what-you-get joinery, and the highest quality woods. This state of the art design is both beautiful to look upon and highly practical to use. The chair can be set to five different back positions. Seat and seat back cushions are loose and upholstered in true leather. 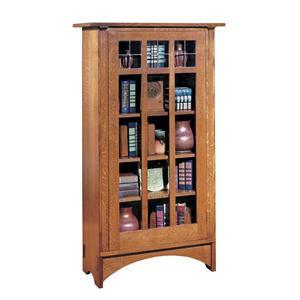 Bring an American tradition into your home office or living room with this single door bookcase crafted in the Mission style. Crafted from Oak solids in a natural Oak finish that accentuates the natural beauty of the wood, this bookcase features four fully adjustable shelves behind a paned glass door. The door is designed to open by key. Our story began with three words: Als Ik Kan – "to the best of my ability." This old Flemish craftsman's phrase has been the guiding principle of Stickley. Gustav Stickley marked his product with the phrase to assure customers that Stickley furniture was of the finest quality, every piece made with honor, integrity, and pride. The Stickleys used solid construction, what-you-see-is-what-you-get joinery, and the highest quality woods. But even more, they showed a genius for design, creating hundreds of new forms that were at once beautiful to look upon, practical to use, exceedingly strong and long-lasting, and perfect complements to the new ways American families wanted to live. 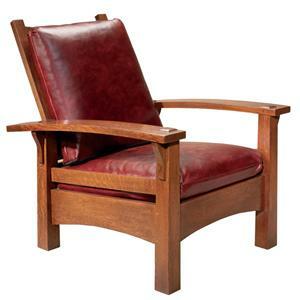 The same devotion to design, the best workmanship, and enduring value was applied to all Stickley designs. Leopold Stickley's colonial-inspired Cherry Valley Collection, introduced in the 1920s, honored the traditions of early American craftsmen, earning Leopold the title "Revered Dean of Cabinetmakers" in the process. L. & J.G. Stickley now thrives with dozens of distinctive furniture lines, about 1,500 skilled workers, and state-of-the-art factories in Manlius, New York; Archdale, North Carolina; and Vietnam. At a time when most large furniture makers have outsourced the majority (or all) of their wood furniture production overseas, more than 95 percent of Stickley’s products continue to be proudly made by our own craftsmen in America.